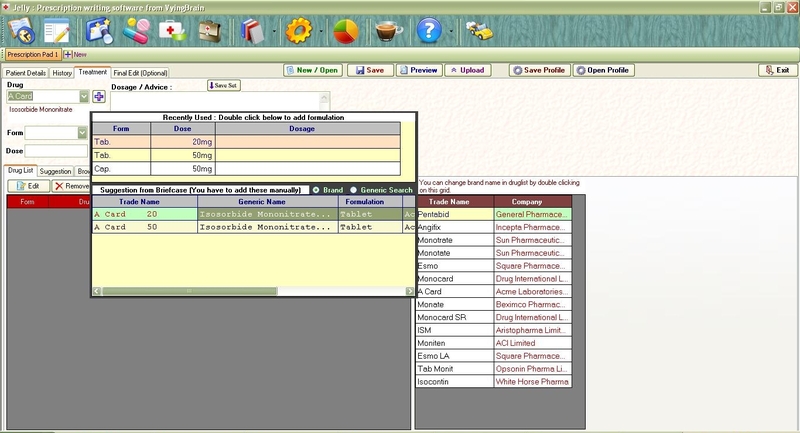 Jelly is a Medical Software that can be used as a Prescription software, Digital Drug Directory (32,000+ Drugs) and Patient information database for Doctors. It can create a prescription with a few mouse clicks. 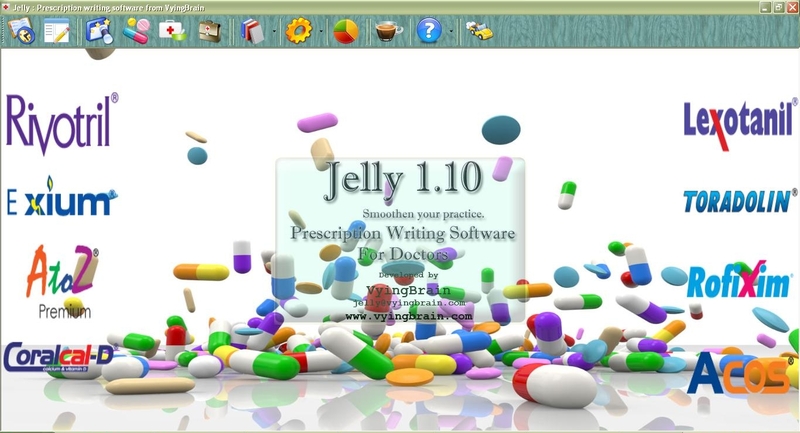 Jelly can be customized to meet the requirements of all the specialties of Medical Science. 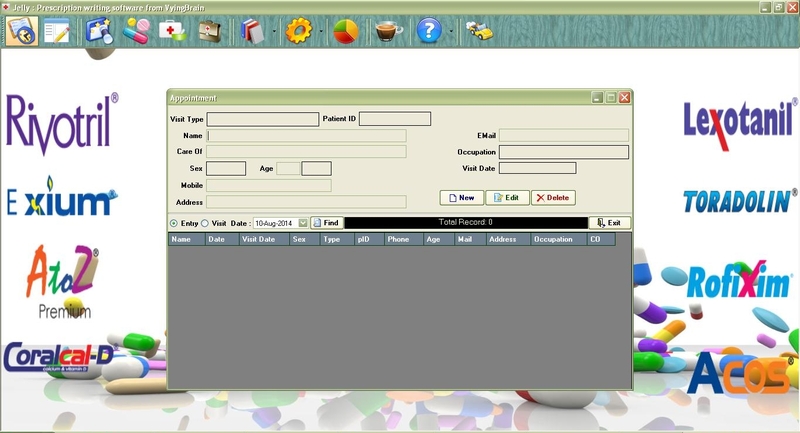 You can customize the software according to the types of patient you treat daily, Then it will be very easy and fast to create a prescription. Jelly is FREE for 1 year !! After 1 year if you think Jelly fulfills your requirements, you can buy it. 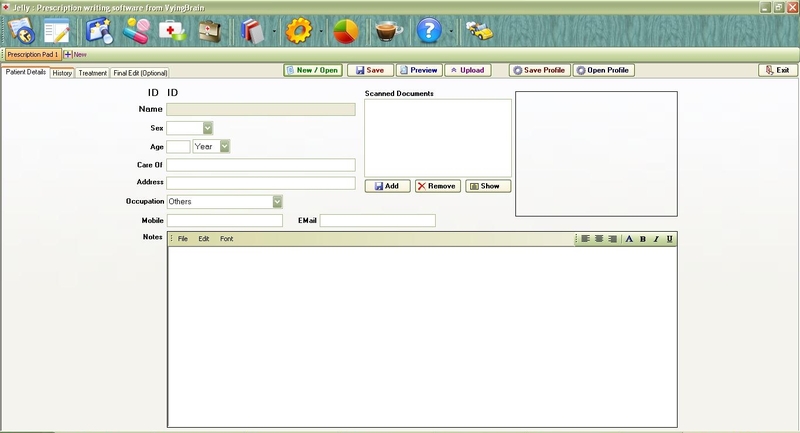 To use it, you have to download the software and mail us at jelly@vyingbrain.com for FREE Registration. 2. Apply for online registration from 'Registration' window ('Cup Of Tea' icon on Toolbar) with a valid E-Mail address and Mobile No. 3. You must call 01707 257538 or 01711 170061 before any payment, informing your desired payment method and estimated time frame. 4. Software will be registered instantly or after getting the payment depending upon the state of affair. Jelly Support Files (99 MB) : If Jelly fails to run, please download and install support files. 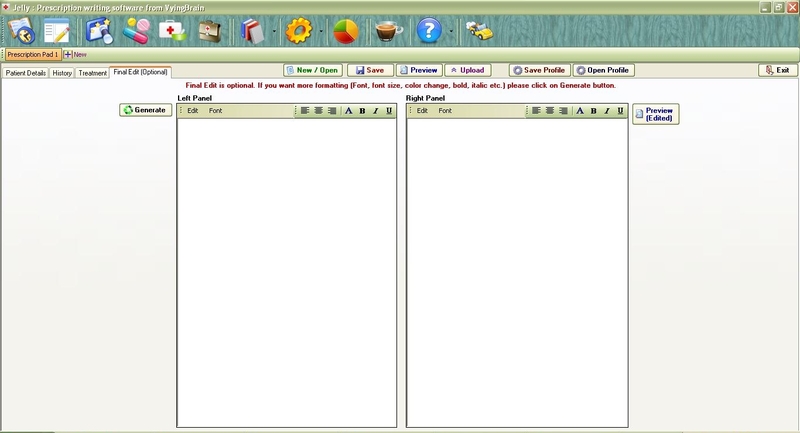 Windows 7/8 Instructions : In some computers with windows 7 or 8, may require some configuration changes. Here is a pictorial showing how to do this. Video Tutorial : In MP4 format. VLC player recommended. 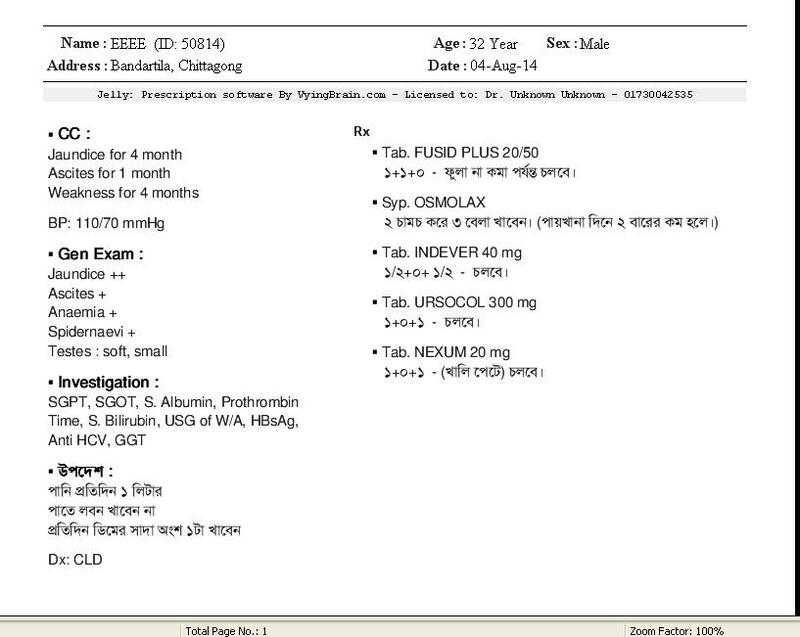 All the Points (Disease profile, Drug List, Examination, Investigation, Advice etc.) 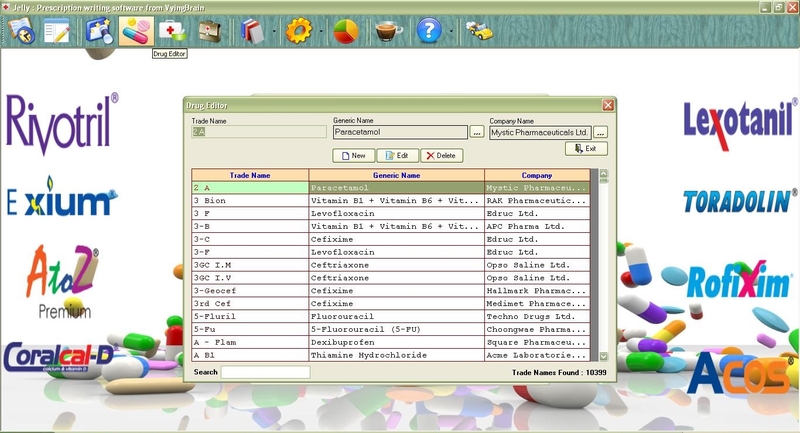 in this software can be saved as "Set" with a "Nick Name" for future use. 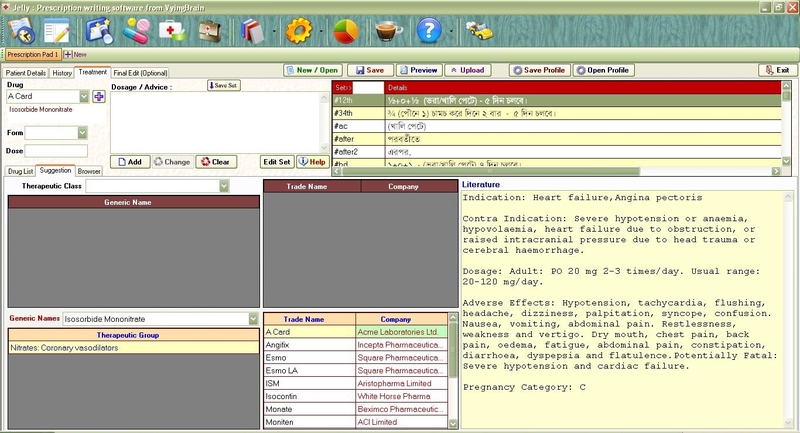 You can select a Disease profile and prepare a prescription in a second. 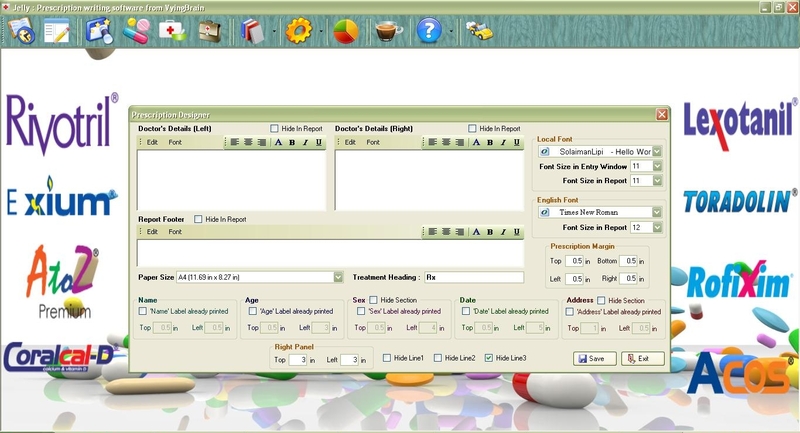 Smart typing with AutoText. To insert AutoText, start typing and word suggestion will appear on top. If expected word shows up (also you can select word by arrow key or mouse) then press Control+Space to insert word. Set name with '#' sign also shows up as AutoText. With this feature, you can type #SetName, then Ctrl+Space to type complete set instantly. e.g., #bd , then Ctrl+Space will type: 1+0+1 - for 7 days. Phonetic Conversion in advice boxes. If you type e.g. 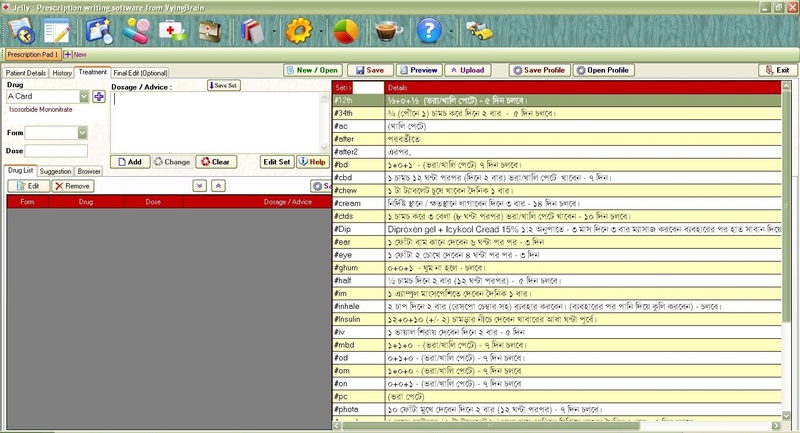 din and then press F9 it will be converted to দিন, cholbe > চলবে. 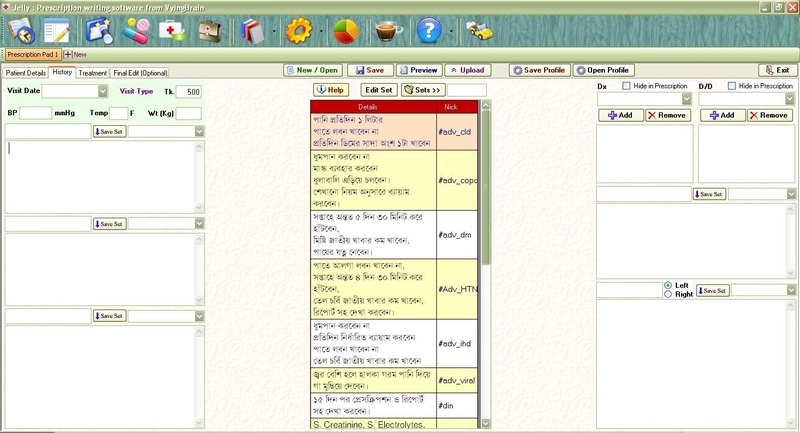 You can add new phonetic conversion list in the Book menu. You can double click on any "Set" grid to type complete set instantly in the respective text field. Patient Appointment, search and preview. 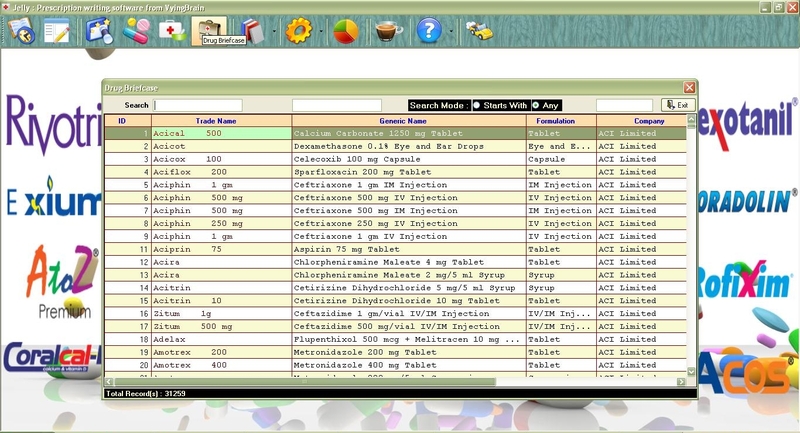 Drug information: It contains about 30,000+ Drugs with Generic name, Brand name, Therapeutic group and Literature. 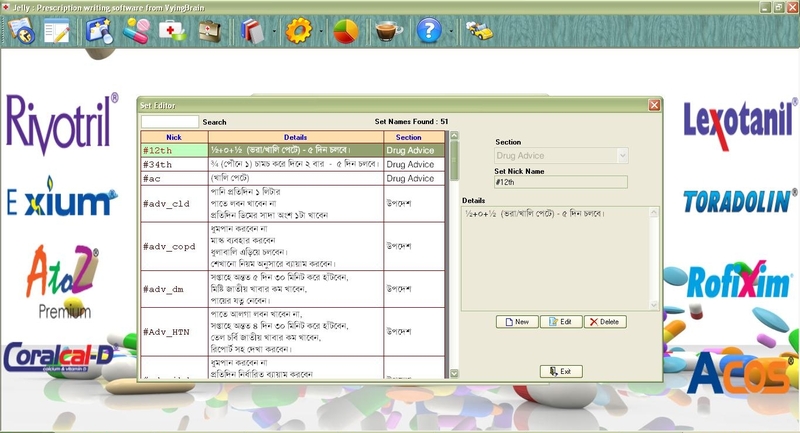 Drugs will be updated on regular basis. 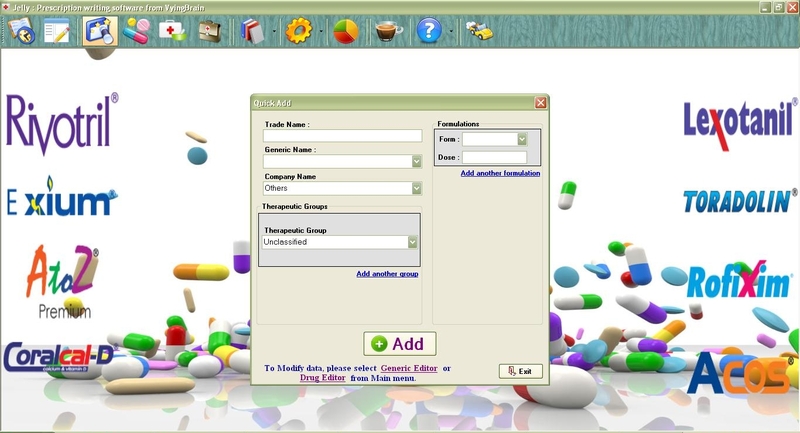 Generic Name editor : Generic names can be classified into therapeutic and sub therapeutic groups. 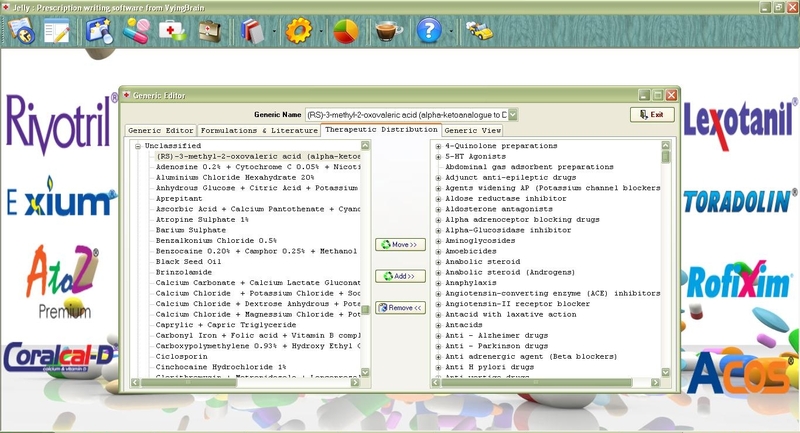 Generic formulation, dosage and literature can be added. 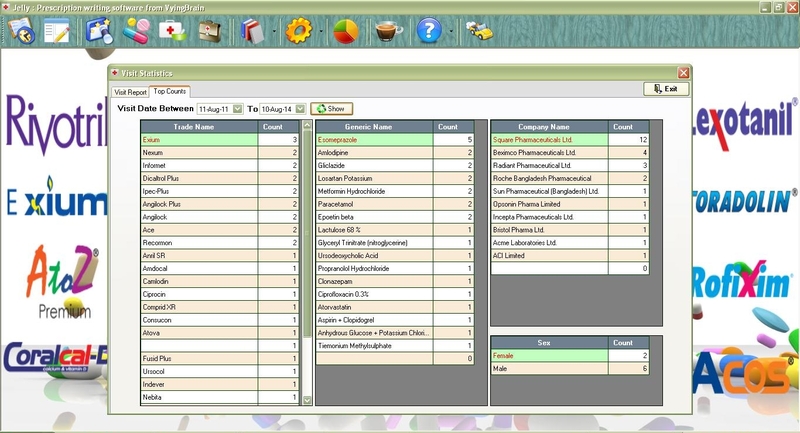 Drug Editor will allow you to link Trade Name to Generic Name. Support both Local (Unicode) and English Language. 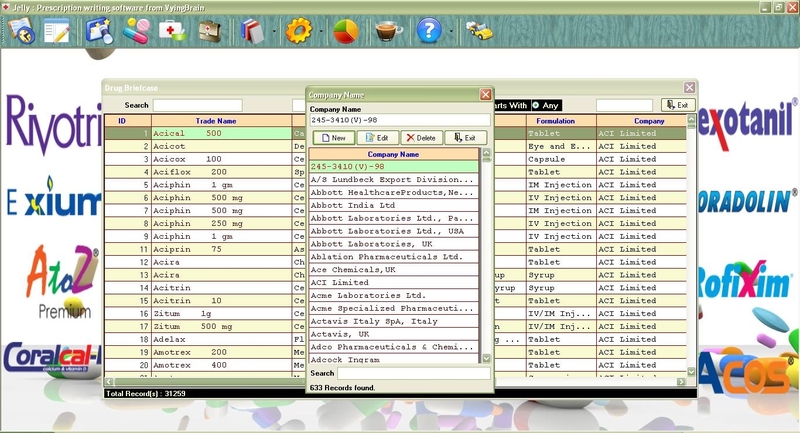 Integrated Browser helps to find drug information from various websites. 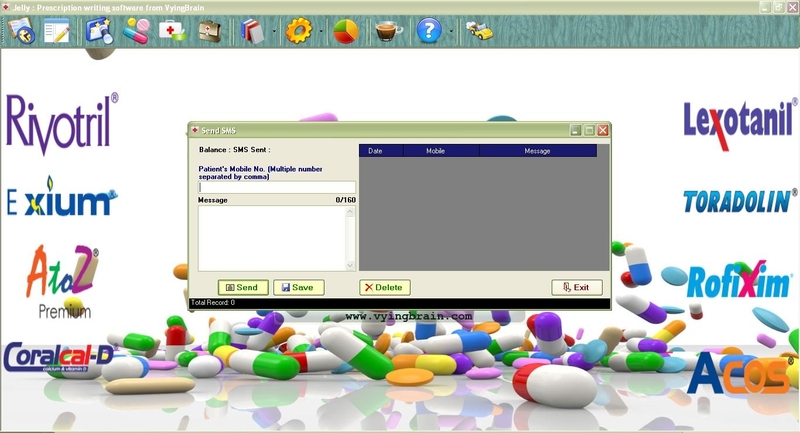 You can Email / SMS prescription to your patient. Email Address or Mobile number can be masked. 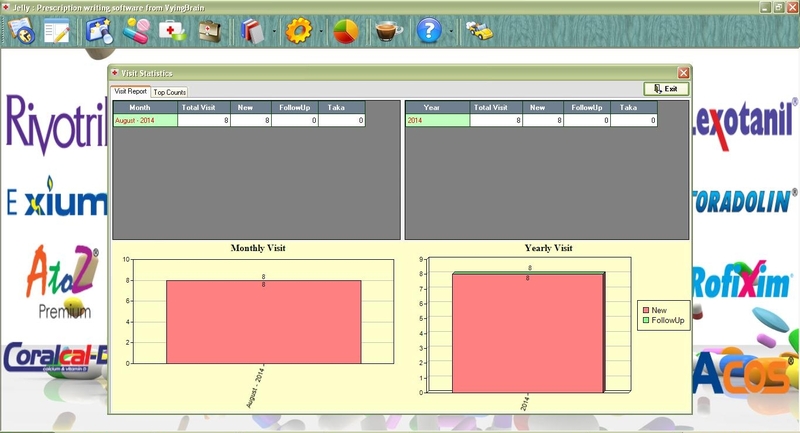 Monthly / Yearly Statistical data with graph. 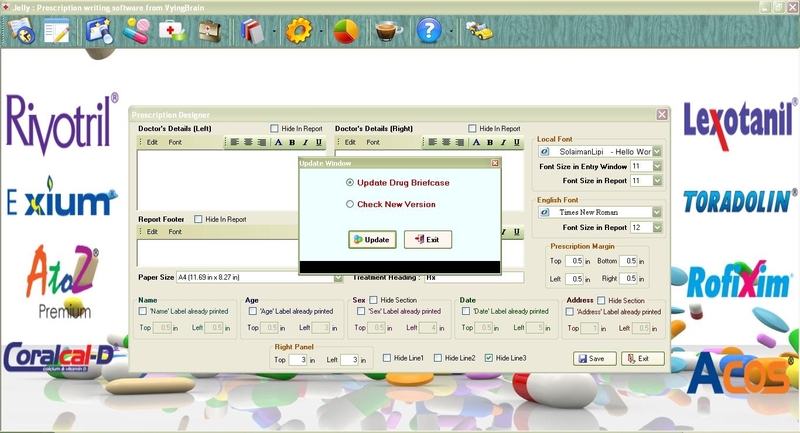 Built in Word editor to edit data for final printing. 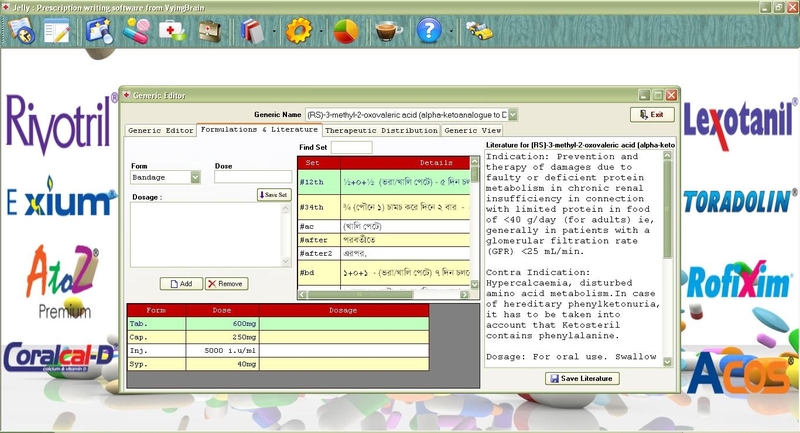 Scanned Document / Image can be tagged with patient. Drug suggestion according to Therapeutic / Generic class.